Taxing used cars is the biggest tax racket there is. Second is lottery. How do you tax billions of dollars that has already been taxed the most it can, mostly in the hands of poor people, and tax them at the billionaires tax rate? Start a lottery. Govt wins every lottery by 60%! I'm sure if I won $500M I wouldn't have a problem giving the government back half of it. I'm a long time Bridgestone guy, but their all-season high performance tire, the 970AS, was being phased out and the new 980AS isn't available in the correct sizes, so I went with the Michelin Pilot Sport A/S3. I like the ride on the tire, it's quiet, does very well in the wet and dry, even did OK when I got caught in a snow storm, BUT the damn front tires simply will not hold air pressure. 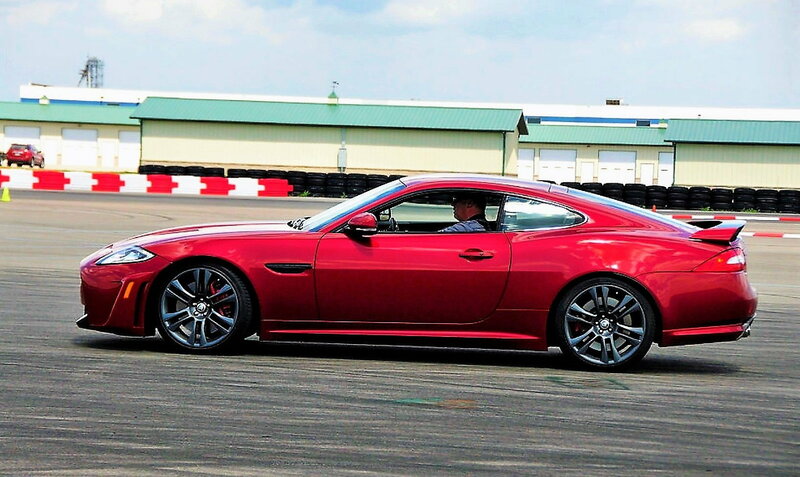 I'm taking the XKR back to the tire dealer in the AM to have them re-install, with bead sealer if necessary, the front tires. Feff, I would only tell them the tires leak and let determine the problem. Have them call in Michelin warranty claim. Show them the cracks in the rubber and how they wont hold air. They will give you around 50% off the MP4S. Not all states do it. I’m running Nitto Motivo Ultra High Performance All Seasons on my X150 XKR. Fantastic tire, looks great, low noise level, great grip. Car is smooth and sure footed even in rain. Wait for a Discount Tire sale and snag all 4 for less than $700 shipped. I run stock size up front and 295 in the rear on aftermarket wider wheels. i just installed Michelin pilot sport 4S OMG, what an upgrade from the Pirelli OEM tires! vastly improved traction, handling, ride, lower noise level. of course, I had load force balance and computerized four wheel alignment done at the time of tire installation. Thanks. Love the color of your coupe. What year is it? Thanks. Not ready to replace tires yet, but leaning towards Michelin. 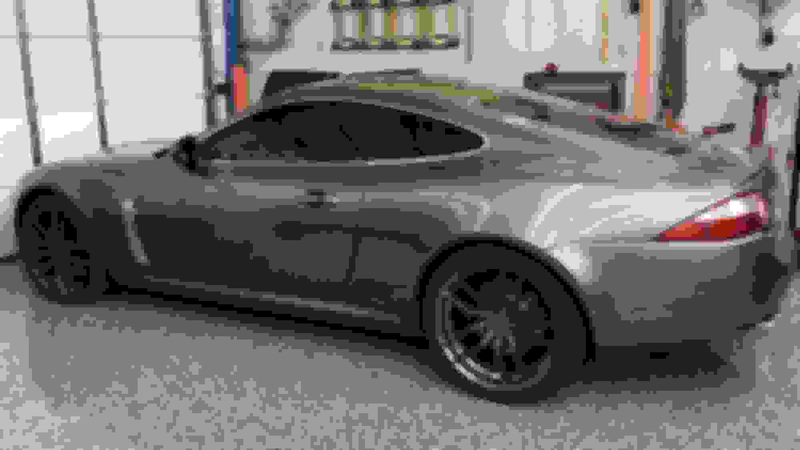 My XKR is an ‘09 Portfolio, they all came in Shadow Gray I believe. I have 19 in wheels on mine. Just went on Tire Racks web sight and the Hancook Ventus V 12 seems to be one of the better tires for my car. Next would be the Michelin Sport 45. These are summer performance tires and that is what I would buy as I don't drive my car in the winter snow or salt. (but somewhat in the cold though) They are also not very expensive compared to some others. I was surprised at that. I'm glad I don't need tires now and hope my Ventus V 12's last a while. I was curious how they stacked up against other brands as far as performance. What other criteria could I use to compare brands? Thanks 95 Cat. You can Google Tire tests using Michelin vs Hancook, get feedback on the Forum. I have Hancooks on my XKR and they seem to be fine, but will probably replace with the Michelins when ready for a change. I just swapped to the Michelins on my Corvette and like them. Tire swaps are a tricky thing to compare. Most people say stuff like "I replaced my GooGoo tires with new BlaBla tires and WOW what a difference! I will never use GooGoo tires again and BlaBla tires are the BEST EVER!" ..... but that is comparing old used worn-out GooGoo tires to brand new BlaBla tires. Of COURSE they will be better. You got new tires because you NEEDED them. Brand new GooGoos would make you say the same BEST EVER stuff. Tire tests conducted by magazines like Car & Driver deal with a variety of new tires on one of more test vehicles. The bottomline will always be what a vehicle is used for, climate the vehicle is subjected to, plus personal preferences of the owner. The higher the horsepower and performance capability of the vehicle, the more critical tire choice becomes, and the more you have to deal with living with "compromises" in the area of noise, smoother ride and tire wear. I think there are a number of good tire choices out there to choose from. I can't count the number of times I have heard "This is the best tire ever!".... Only to find out they have only run on maybe 2 or possibly 3 different makes/compounds. That comment should read "This is the best tire I have experienced so far!" Thanks for recommending these. I would have never considered them in a month of Sundays. But if one puts 10k miles on their car a year (I dont right now) these would absolutely be the way to go. They are effectively 25% of the cost of MP4S and 75% of the performance. Just one question, the picture of the tire you posted on the hydrabush thread and the stock photo of Nitto Motivo dont look the same. You are correct! I originally installed stock size Conti’s on the new wheels and the rear tire had a ‘stretched’ look due to the wider wheel. Conti does not offfer the 295 rear so I had to replace all 4 tires. I actually listed the Conti’s for sale on this forums marketplace a while back. They have since been sold. Good eye! The Motivo’s are fantastic and extremely well priced. I have 10 cars currently and have owned over 70 so have a lot of tire experience.